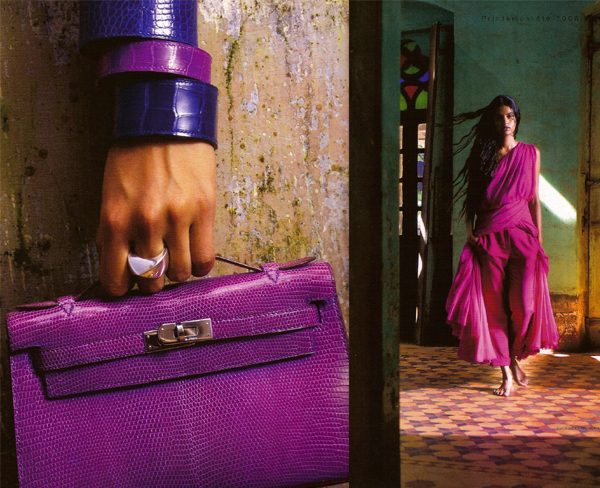 I’ve been digging through swipe and found shots from last Spring’s Le Monde d’HermÃ¨s, featuring Lakshmi Menon and lots of vibrant purple. Love this color. Absolutely love Lakshmi Menon. She’s delightful. Love your Blog, very inspirational for my new collection. Thanks!